Hezbollah said its chief Hassan Nasrallah is capable of “responding to Israel on the right time and place,” noting that Minister Jebran Bassil has carried out his duty as foreign minister when he denied the presence of ‘missile sites’ alleged by Israel, al-Joumhouria daily reported on Saturday. “This is the party’s policy,” said Hezbollah sources, “we don’t deny (Israeli) claims nor do we affirm. Minister Jebran Bassil took action out of his duty as foreign minister by denying the presence of missile sites. Denying the Israeli irrational claims in front of the international public opinion concerns the Lebanese state and foreign ministry,” they said. During his address before the U.N. General Assembly, Netanyahu claimed that Hezbollah has positioned three missile sites near Beirut’s Rafik Hariri International Airport. 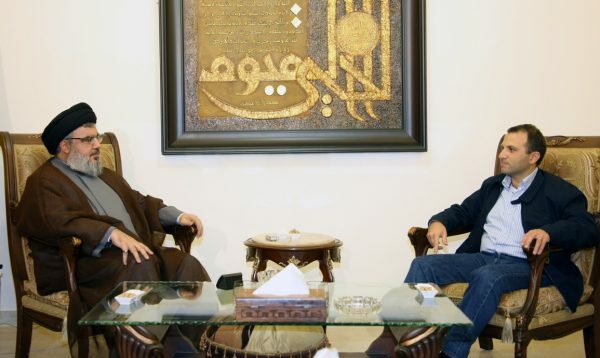 He said the sites include the football stadium of the Hezbollah-affiliated al-Ahed club, another site near the airport and the Ouzai fishermen’s harbor. In response, Bassil led dozens of ambassadors and journalists to locations near Beirut’s international airport, including a golf course and a soccer stadium, seeking to dispel Israeli allegations.